Lately, my kids' rooms have been driving me crazy. None of our kids have their own room. 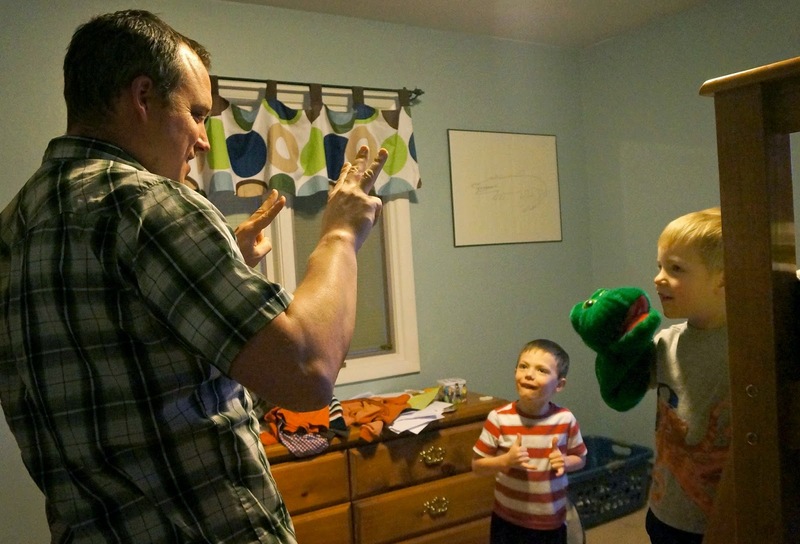 They're split in half: the two older in one room, the two younger in another. Even though most of our toys reside in the basement, somehow their rooms can go from clean and orderly to messy and chaotic in less than 20 minutes. 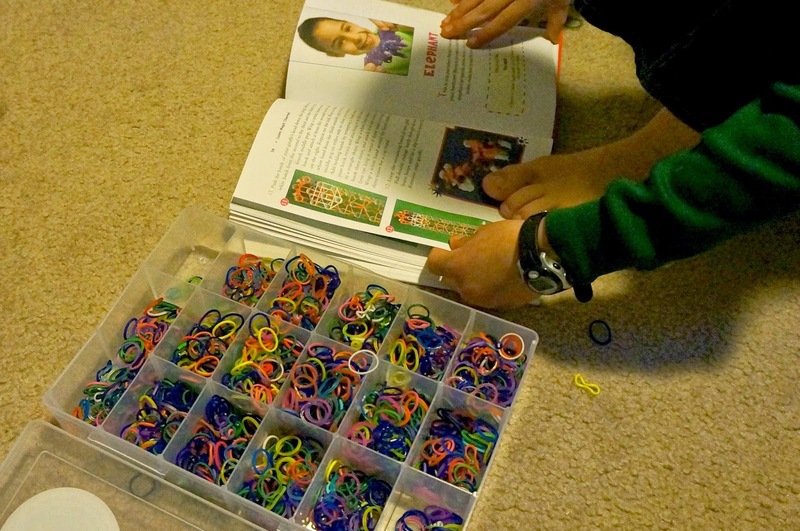 It's a combination of things: the toys migrate upstairs; they throw their dirty clothes on the floor (even though the laundry basket is an impossible two feet away; Aaron and Max do a lot of projects in their room to keep them away from the baby, so there are always paper scraps and markers and the accursed rainbow loom bands. Telling my kids to clean their rooms is like telling them to fly to the moon: it feels and looks impossible to them and therefore, it is. Part of the reason it seems insurmountable is because I often wait too many days before having them clean it. One night, I had an epiphany (it's an epiphany that most of you moms have already had, so don't get too excited): Do a quick cleanup every night before bed. Given my personality type (more on that in a minute), it's not as if I'd never thought of a nightly cleanup before. I'm a big fan of routines, and they definitely make undesirable tasks easier and less arguable. The thing is, bedtime already has the tendency to drag on mercilessly, and so I'd always avoided adding one more thing to the already lengthy routine. But one night, I just couldn't take it anymore, and since then, they've been cleaning it up every night before we read stories. Now before you think, Oh, it was that simple? She should have done that a lot sooner., let me assure you that it has definitely required time, energy, and commitment on the part of Mike and me. If we just told our kids to "Go clean your room," it would never get done. My solution to this is to stand in the room giving directions (and sometimes becoming an active participant): Now pick up the trash. Here's a bag for it. Fold and put away your clothes. No, those books do not belong under your bed. That's because I'm an ISTJ (i.e., introverted - sensing - thinking - judging), and for the content of this blog post, emphasis on the S and J. Was that an unexpected jump? I warned you that I was going to talk more about my personality. And I meant it literally. For the past couple of months, I've been reading and slowly internalizing a book called MotherStyles by Janet P. Penley. She uses the Myers-Briggs test and applies it specifically to mothers: What does a J mother look like? What does she look like when combined with I . . . and S . . . and T (spoiler: she looks like me). What are her strengths? And weaknesses? It's been quite the eye-opener, and it's making me okay with who I am and also, who I am not. And one thing I am not is wildly creative or imaginative. When it's time to clean a bedroom, you clean a bedroom . . . quickly, efficiently, methodically. It's not that I'm opposed to the games that would make the task a lot more fun. It's that I never think of them in the first place. But wait. 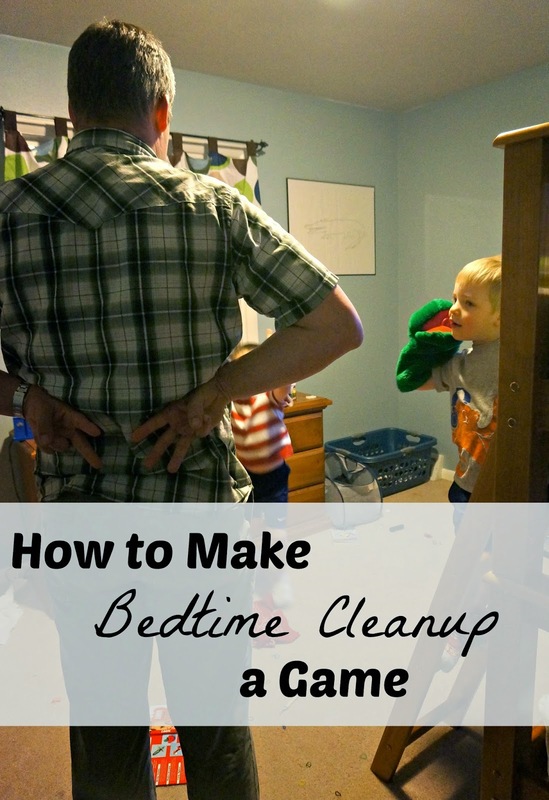 Isn't this post called "A Game for Bedtime Cleanup"? That's because Mike is not the same type as I am. We share the first three letters, but while I'm a J, he's a P. And that one little letter makes a big difference . . . especially when it comes to having fun. The first night we instituted the nightly bedroom cleanup, I helped Bradley with his room, and Mike helped Aaron and Max with theirs. It was obvious from the get-go that they were enjoying the task a lot more than we were. And it was because, just like that, on the spot, Mike came up with a game to make the job more fun. If you've made it this far in this post, then you definitely deserve to learn how to play the game. It's quick, simple, and requires no other props except your hands (and a messy room). The leader hides a number behind his back (for ex., 5). The cleaners take a guess at the number (for ex., 4! 9!). The leader reveals the number, and then the cleaners have to clean up that number of items (in this example, 5) . . .
. . . Unless (and this is why my kids love this game so much) one of the cleaners happens to choose the correct number, then he doesn't have to pick up anything for that round. Every time one of them guesses the right number, it fuels their energy to play another round. Apparently, being lazy is an addictive prize. So there you have it: a game invented by an ISTP to complete the routine of an ISTJ. Do you do a nightly cleanup? How do you make it happen? What's your personality type (and if I know you personally, then don't think I haven't analyzed you already)?